Welcome to this week’s edition of Tutorials & Tips! If you’re looking for the latest and greatest in the blogosphere, then you’ve come to the right place! This is the place where bloggers come to link up their most current room reveals, furniture rehabs, DIY tutorials, craft projects, decorating tips, organization advice, recipes, and more! 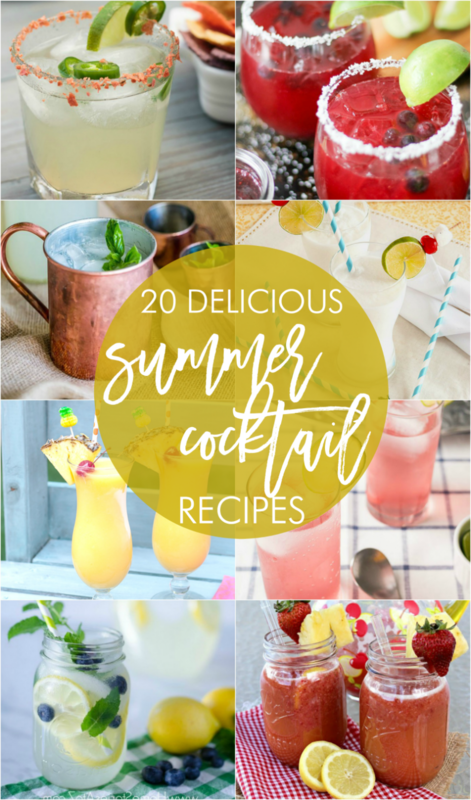 Be sure to check out last week’s features, 20 Delicious Cocktail Recipes if you haven’t already. What a great party Beth. Super great looking links this week. Thanks for hosting a fun party.